With the war against Tuareg militants in Mali having fallen off the popular news radar, African Defence Review sat down with Conway Waddington, a specialist conflict analyst at Consultancy Africa Intelligence, to learn more about current state of operations in the country. Can you describe the operational environments that COIN/counter-terrorist forces are faced with in Mali? In terms of terrain, northern Mali technically comprises of scrubland and savannah-type environments, with northern Mali tending toward open desert the further north you get. This means vast open spaces dotted by villages and the occasional urban centre. For the purposes of counter-insurgency (COIN), this means mobility and surveillance are vital to confining and interdicting insurgent’s movements. Communication and co-ordination are especially important. Logistical support for security forces is difficult. The nature of the operational environment in these two countries is of course much more than just the physical environment. In Mali, non-state actors groups (call them insurgents or rebels or terrorist groups accordingly) function under varying degrees of support and concealment within sub-sections of the local populace. Islamist militants in northern Mali are largely (though not exclusively) made up of Taureg, who are more prevalent in the north of the country. As such, they stand out from black Africans who become demographically dominant the further south you travel. While militant groups have exploited pre-existing inter-ethnic tensions, they are also demographically constrained to some extent. Government forces must exhibit discipline in avoiding wholesale targeting of ethnic groups – something that has happened in both countries, to the detriment of COIN efforts. German engineers from Panzerpionierkompanie 550 training Malian troops in Koulikoro, as part of the EU Training Mission (EUTM). What are the current capabilities of West African terrorist groups at the moment? These attacks show brazenness, relatively skilful coordination, and also the vast operational range of such groups. Al-Qaeda in the Islamic Maghreb (AQIM) and the Movement for Oneness and Jihad in West Africa (MOJWA/MUJAO) share common tactical doctrines with regards to high mobility and hit and run tactics. They have both utilised IEDs and suicide bombings, and are also heavily engaged in kidnapping and ransom; and smuggling activities to finance themselves. MOJWA ostensibly merged with fighters led by Mokhtar Belmokhtar (The Masked Men Brigade) to form Al-Mourabitoun. Information about this group is sparse, and the extent of the merger is unclear (given the generally unstructured nature of these groups). Nonetheless, Belmokhtar is responsible for significant and ambitious terror attacks across the region including the In Amenas gas facility attack in Algeria, and later, a coordinated double attack on the AREVA-owned Somair uranium mine, along with a military base, in Niger in 2013. These attacks show brazenness, relatively skilful coordination, and also the vast operational range of such groups. While there are some overblown aspects to the supposed cornucopia of weapons that emerged from Libya in the aftermath of the collapse of the Gaddafi regime, certainly the insecurity in the country has played a role in destabilising the West Africa region. Militant Islamists, along with Tuareg separatists like the National Movement for the Liberation of Azawad (MNLA), benefited from an influx of fighters who had formerly worked for Gaddafi, as well as some weapons. Notably, vehicle mounted heavy machine guns like the DShK or light anti-aircraft weapons like the ZU-23. These weapon platforms are ideal for the terrain and type of fighting conducted by such groups. While non-state actor groups confine themselves to small arms, IEDs, and light, vehicle-mounted crew served weapons – it is notable that there have not been any signs of portable shoulder-fired anti-aircraft missiles. The proliferation of MANPADS to terrorist groups after the fall of Gaddafi was a major regional concern, but one that has not been borne out by experience. In Mali, the French are still battling militants in the country. What is the current plan of action for the French for defeating their enemy here? France does not seriously hope to defeat the Islamist militants who are still present in the north of the country (and are ranging across territory between Mauritania, Mali, Niger and Libya). Defeating such groups would require wiping them out – a difficult if not impossible task. Rather, France seeks to continue to disrupt these groups in order to give the Malian government, and MINUSMA, time to stabilise the country. France’s initial goal in Mali when it launched Operation Serval, was to prevent further expansion of Islamist militants southwards towards the capital, Bamako. Airstrikes in January 2013 were a direct response to the apparent movement of Islamist militants southwards from town in the centre of the country. Since then, France has sought to provide a bulwark against the Islamists (and indirectly, against Tuareg separatists who were temporarily aligned with the Islamists in 2012). The intention then is to discourage further Islamist militant build-up in the country, while the Malian government and military recover under the new leadership of Ibrahim Boubacar Keita, and with the assistance of the UN Mission to Mali (MINUSMA), and other international aid, training and support (notably, the European Union Training Mission in Mali). With that in mind, France continues to patrol and observe the region, and engage concentrations of Islamist fighters where and when they are detected. How have they utilised their equipment and technology in doing so? After an initial substantial deployment in early January 2013, France has reduced its military presence in Mali to a smaller combined arms combat group. They have airpower available (rotary and fixed wing) and as well as several unarmed drones from reconnaissance and surveillance purposes. Making use of light vehicles, French ground forces quickly re-secured urban centres in northern Mali, which were later turned over to AFISMA/MINUSMA forces for garrisoning. Those vehicles remains useful force multipliers and provide transport capabilities allowing French forces to act as a rapid-response force. 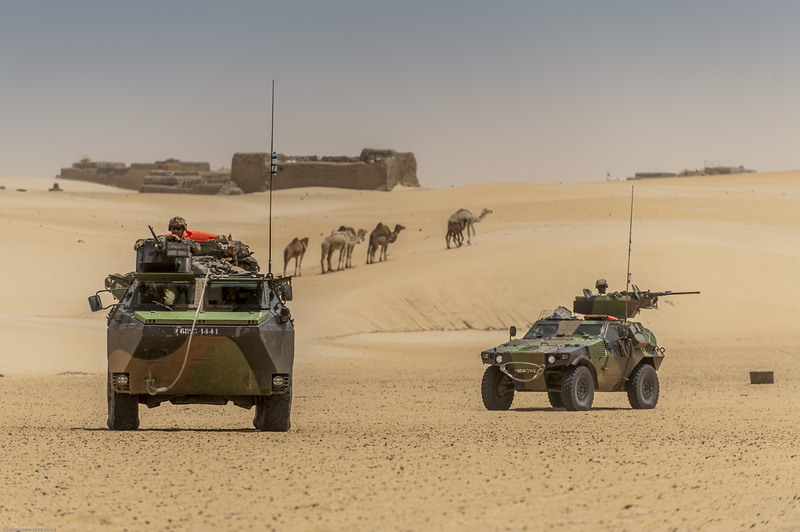 French special forces are engaged in long-range patrolling and the establishment of observation posts in northern and especially north-eastern Mali (along the borders with Algeria and Niger. France’s greatest technological advantages are in the form of persistent observation and effective communications. What do forces in Mali need most in terms of capability or equipment (or both) to best assist them in their operations? Insofar as capabilities are concerned, the Malian military is in a dysfunctional state – chronically undertrained, underequipped, lacking in morale. Major components of the military are actively hostile to one another (notably, the ‘Red Beret’ parachute brigade that comprised the presidential guard of the deposed president Amadou Toumani Touré; and the troops aligned with the junta that was led by Amadou Sanogo during the 2012 coup. 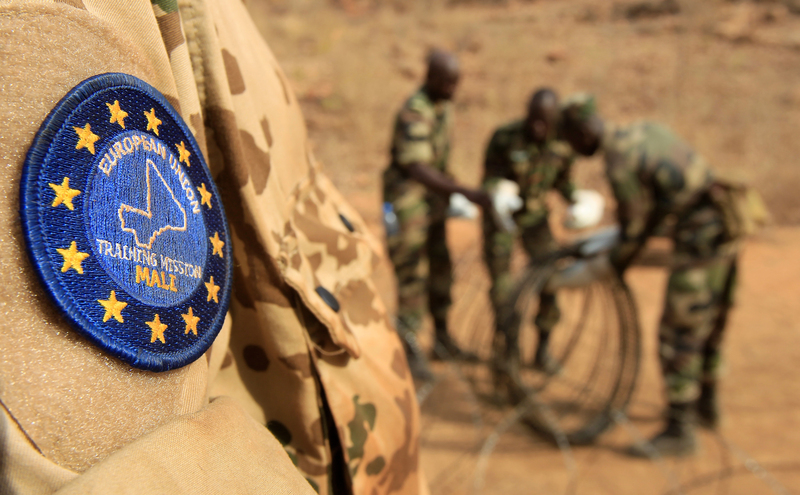 The EU training mission in Mali (EUTM) is attempting to revitalise the military, which had prior to the 2012 coup, been engaged in regular training exercises with US AFRICOM, albeit with limited success. Mali has essentially no air force, meaning no close air support, aerial reconnaissance and surveillance, or airlift capability. Photo: ACMAT. Two French units on patrol in their vehicles on security missions in the city of TOMBOUCTOU under the Serval operation. To combat what will be a persistent threat of violence from militants in the north of the country, these capabilities are vital. Moreover, small, fast moving rapid response capabilities are necessary, along with the communications capabilities to coordinate such units. The EUTM has been focussing on such force multipliers. Reforming the military also requires overcoming the prejudices that exist toward the Tuareg populace of northern Mali. Association with Islamist militants and separatists has led to victimisation of Taureg Malians in major cities in the north. The feeds the cycle of violence that is playing out in the north of the country, and also plays into the hands of Islamist militants. Similarly, reform is needed to restore the discipline and trust of the military in the government (which it had felt abandoned it during the 2012 Tuareg uprising).